Sensor suite with integrated sensors for temperature/humidity, rain and solar irradiance. Includes daytime fan-aspirated radiation shield for greater accuracy. 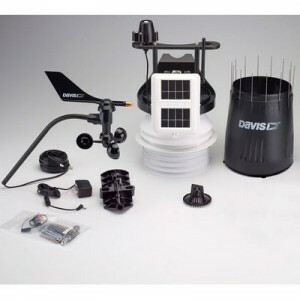 Cabled transmission from the sensor suite to Vantage Connect, EnviroMonitor, Vantage Pro2 console, or Weather Envoy up to 30m away. Extend the cable length up to 300m using extension cables.